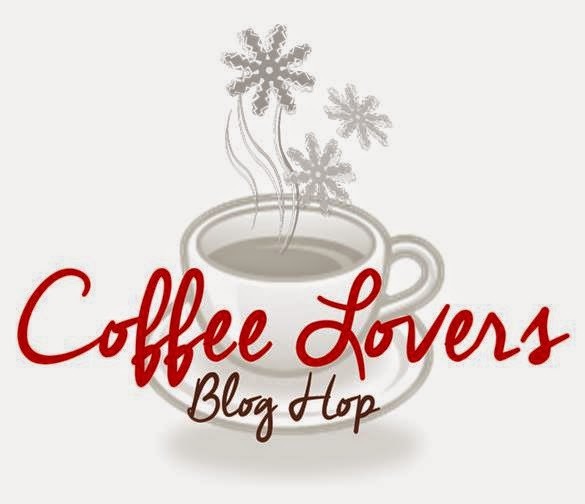 Amy Tsuruta is hosting an awesome Coffee Lovers Blog Hop! She has sponsors from pretty much everyone and has worked so hard preparing this event! I made a coffee gift for the hop today using some dies from from Reverse Confetti and Love You a Latte set from Lawn Fawn. I created the same package as I did last summer HERE for lemonade but using coffee (thanks you Kim Heggins for the idea to use Starbucks Via Packs). I see me doing quite a few more of these before Christmas this year. Inside, the dimensions and how to create the pocket to hold the via packs is HERE. I can`t wait to see what everyone else has done!. Amy thank you so much for all of your hard work putting this fun fun event together! 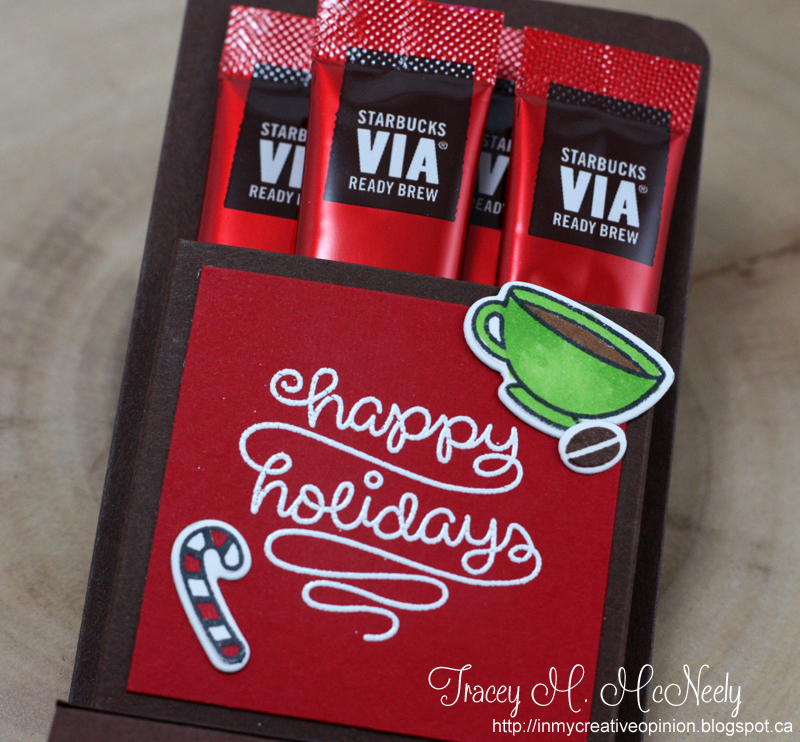 Adorable packaging idea for those coffee lovers on our gift lists. What a cute idea, Tracey! Thank you for sharing the directions! Tracey...this is just darling and about as cute as can be. I love it and can not wait to pull my stamps out and make more of these. What a sweet package Tracey. Love the cute image, the rich colors... the bells are the perfect touch to this holiday look. Great little gift idea, Tracey. what a fun and colorful gift package Tracey! What an awesome gift in such a sweet package, Tracey! Love the twine and bells! Great gift idea for a coffee lover. Love your projects. The swirly sentiment is so fun and whimsical. It's like ice skating marks. SO want that set!!! Tracey this is darling!!! What a cute cute tag!! We used the same stamp set :) Great mind eh? heheh! Absolutely love this!! What a great little gift pack! I have some of those coffee packs in my cupboard and now I know just what to do with them! how yummy!!! LOVE YOUR CUTE packaging!!!! Such a great idea, Tracey! Cute packaging! This is so cute, and what a great little gift. DId my comment not take???? Tracey you always AMAZE me with your creativity!!!! ........I have some blog candy on my blog !! Such a great packaging and I love that stampset saw it several times during this hop and now I simply gotta have it. TFS. You know I love the combo of chocolate and deep red. Such a great gift Tracey. I love this Tracey! What a fantastic giftie! So creative and who wouldn't love that?! Such a cute little gift. Love it! Super duper sweet, Tracey! Love it! Really, really cute, Tracey!! Hmmm... I wonder would the pocket work for a gift card, too? What a fun idea and this makes a lovely gift! Fun blog hop and I'm hoping to have time to play along! What a fun tag with goodies behind it! TFS! What a great idea for a gift holder. Love the stamp too! These are beautiful projects! Little colored bells are totally adorable! This is great coffee treat holder. The jingle bells are a cute touch. I love this! Fun tag and a gift! Love it! What a great little giftie this would make. what a darling via holder...love my via!! Very cute. I like the color combo. What a darling idea--love the gift package! Love that you added some fun jingle bells! Very cute...love this gift idea! Thanks for sharing! Super cute! Love the colors that you used! Wow, I so need this set, this is adorable!!! FABULOUS! These are so fun Tracy! I love the brown base, it really makes your colors pop! Hugs! Such a yummy and darling gift bag! What a cute project. Love how it holds the little packets on the inside. The jingle bells are a great embellishment. What a gorgeous and versatile tag! I love how you turned it into a treat holder too! I love the gift holder. 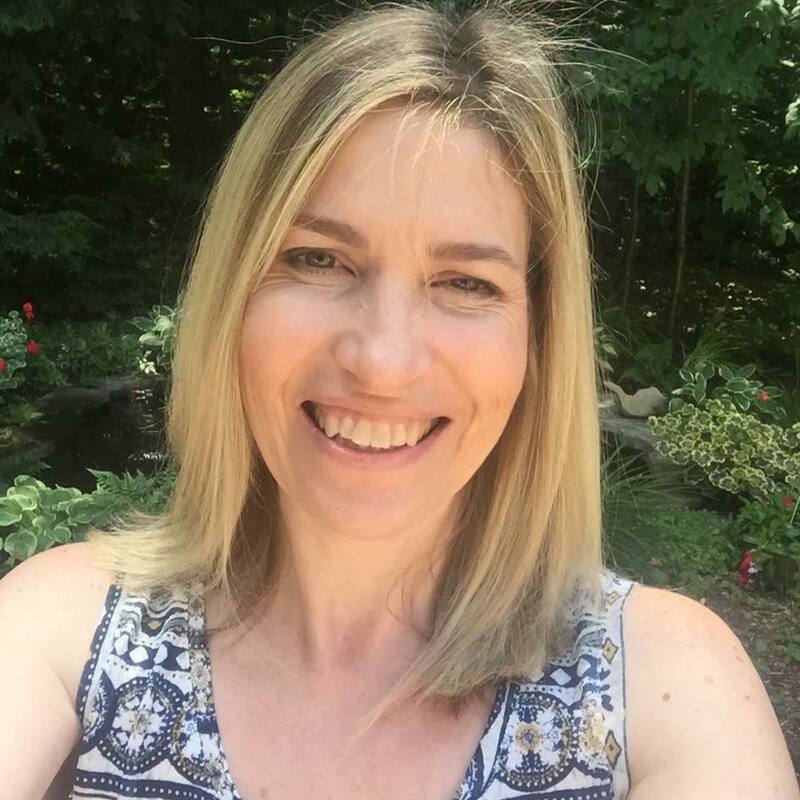 Love your tag and giftie holder, Tracey, hope you are doing well! Happy Holidays! 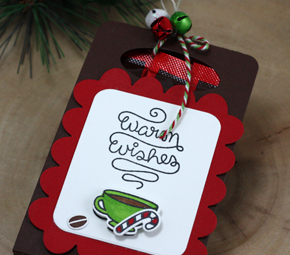 What a wonderful way to jazz up little, but meaningful, gifts for your coffee-loving friends. AWESOME! The bells are the perfect special touch! What an adorable project. Love how you put it all together. The jingle bells are the perfect finishing touch! Yummy. Thanks for sharing your CUTE treat. Gorgeous idea!!! Tks for sharing it!! Super sweet Gift idea, Tracey!! oh my goodness!! awesome coffee gift!!! LOOOOOVE that pocket that you added too!! so clever!! 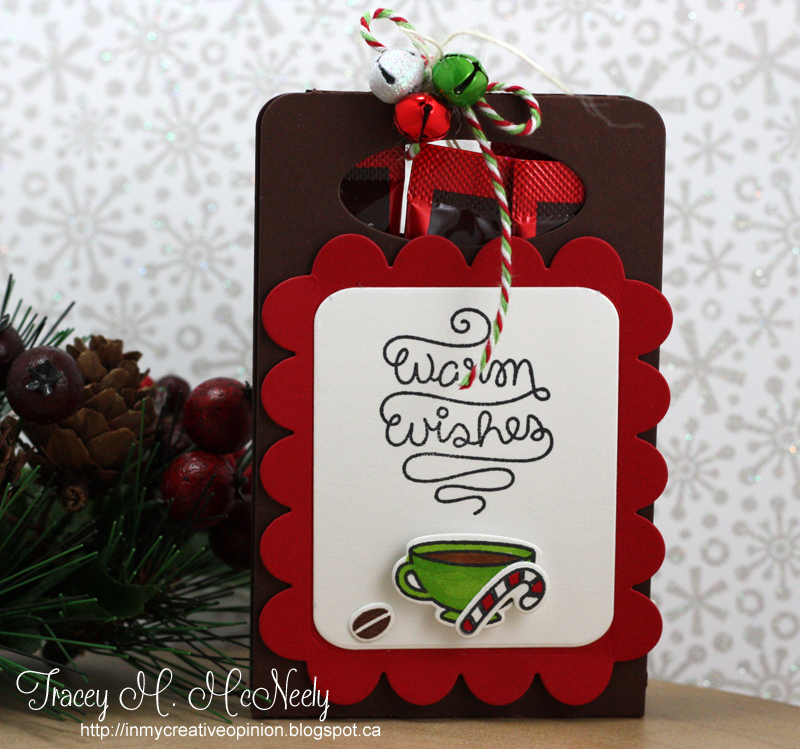 that dark brown is perfect for the coffee theme too!! awesome coloring! !